Immediately after sharing our exciting news, some dear friends of ours jumped into action. One of them was Brian Crenshaw, a fellow adoptive parent, student ministry director of our church (Fellowship Memphis), and a very talented artist. He expressed a desire to paint a piece for us to put in a raffle or auction off. He got right to work on it, and brought it over shortly thereafter. Isn't it beautiful? It is entitled "For Brooklyn." 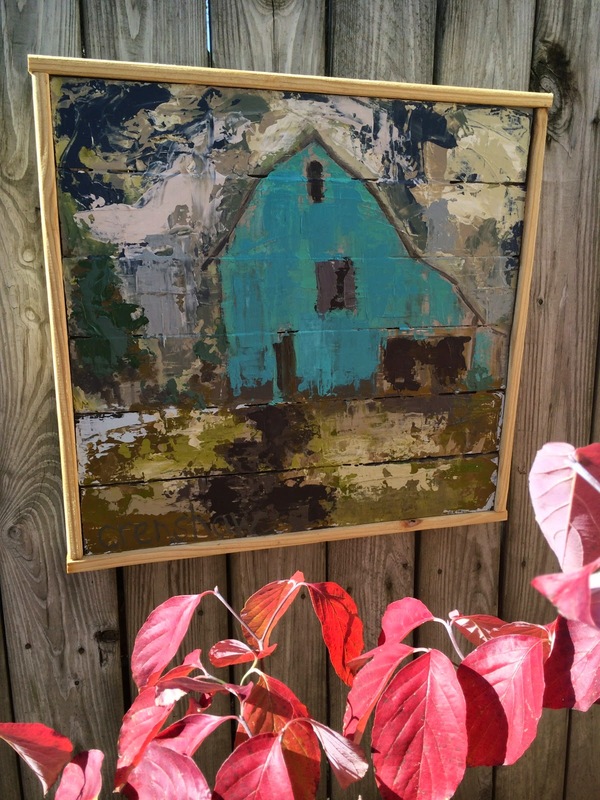 It is approximately 24x24 painted on wood plank and trimmed with a simple wood frame. I am in LOVE with this painting--the colors are some of my favorites, and it makes me feel peaceful. But alas, it's not "For Jesse," so here's what we're going to do blog friends: we're going to raffle off this painting. It is worth an estimated retail price of $400+. It would make an unforgettable Christmas gift for a loved one...or for yourself! I'll ship this beauty anywhere within the United States, and shipping is on us! 1. Entries can be purchased for $10 each by donating on our Razoo fundraising website. 2. Tickets can also be "earned" by sharing our Razoo fundraising website on Facebook, Twitter, or your blog and asking your friends to donate! **PURCHASED ENTRIES receive 2 POINTS PER ENTRY, and social networking entries will receive 1 point her entry. However, you never know which entry will win! May the odds be ever in your favor! Just purchased 10 tix or $100 worth and made my donation on Razoo.